Chives vs Green Onion are they essentially the same and can you use one in place of the other? When you are pursuing culinary endeavors, it pays to know the differences between some various ingredients. While chives and green onions may appear similar, they are actually two different vegetables. Although they may be relatives, they do have noted distinctions that you should be aware of when you are using them in cooking or preparing food. 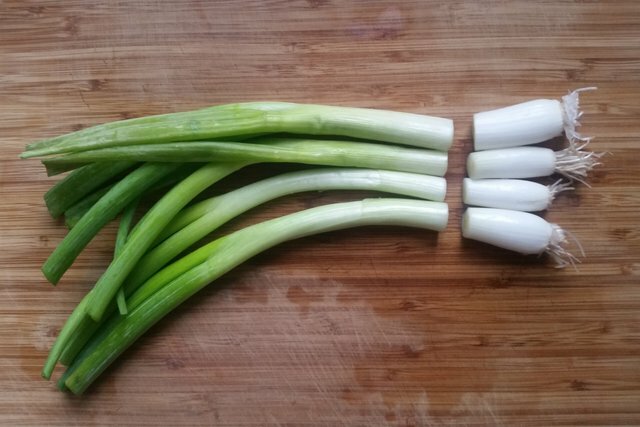 For example, green onions feature thin green stalks that display a white bulb at the end. Chives, on the other hand, have bulbs that are not so obvious. In fact, the bulbs are so small, you might think they are not there at all. The stalks of chives are tender, hollow, long, and look very much like glass blades. Scientifically speaking, chives belong to the genus and species of Allium schoenoprasum, while green onions belong to the genus and species of Allium fistulosum. Those facts, in and of themselves, create an authentic difference between these two onion-type foods. In fact, chives form the smallest of the species in the onion family and are perennials. Therefore, if you plant them in your garden, they will make a return visit that will continue year after year. Green onions, on the other hand, will not make a return visit because they are categorized as annuals. If you plant green onions in your garden, you should harvest them once their stalks turn brown. Green onions, as you might have already surmised, are harvested for their white bulbs. However, because the bulbs on chives cannot be readily seen, this plant is grown for its flavorful grass-like stalks. Therefore, onion bulbs are predominantly used in recipes while the stalks of chives, not the bulbs, are used for cooking. The stalks are snipped and frequently used as a garnish while small and almost invisible bulbs are considered inedible. However, the purple flowers of the chive plant are edible and, therefore, are included as a garnish or added in salads to eat. Besides the bulbs, the green stalks of onions are used in dishes, too. Therefore, growing onions makes it easy for you to add some versatility when preparing dishes to eat. Both the bulb and stalk of an onion possess a mild zesty flavor and are typically sautéed or consumed raw. Chives, however, taste a bit garlicky or possess a mild onion taste. Again, the stalks are usually snipped and added raw to recipes to accent a cuisine’s taste. You do not want to cook chives, as the process causes them to lose their flavor and renders them unusable. Use them as a garnish for deviled eggs or with sour cream.Green onions are used often in salads and sandwiches. While you may assume that onions and chives are the same, they actually are quite diverse when compared side-by-side. « Shallot vs Onion – What’s the Difference ?